Welcome to the Moon Boot Lounge, featuring Tecnica Moon Boots for Women and Kids Manufactured by Tecnica, Moon Boots have an unmistakable style; their rounded shape is ergonomic, practical, and functions as the perfect canvas for creativity. 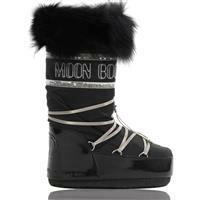 You’ll find Tecnica Moon Boots in many colors, patterns, and styles. Glitter, rainbows, plaid, and bright colored Moon Boots for women and kids are just some of the styles you can expect to find. In addition to the desire to make a fashion statement, we know people love Tecnica Moon Boots for their functionality. Many winter boots can be drab and dull, but with Tecnica Moon Boots, you get warm, dry feet and traction without sacrificing style. 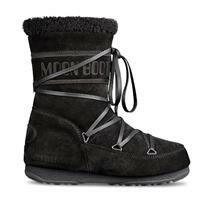 Whether you like the Original Moon Boot, the Moon Boot Butter, the Moon Boot Butter Mid, The Moon Boot Queen, or even the Mini’s and Junior’s Moon Boot, you’re bound to find a Moon Boot style that exceeds your fashion and function standards!